After playing Pokemon Let’s Go Pikachu, I am convinced that Game Freak is incapable of dropping the ball (pun not intended). Everything about the new title convinced me that something had to go wrong. It’s a remake of Pokemon Yellow, a rehash of Red and Blue Versions (which already received remakes fourteen years ago). In addition, it’s incorporating the more shallow catching mechanics from the free to play Pokemon Go on mobile, usually the kiss of death a console game. On top of that, Nintendo has admitted it is a cash grab, as they wanted a Pokemon game on the Switch without rushing the true sequel. And yet, not only is Pokemon Let’s Go just as fun and addicting as the core titles, but I now I want Let’s Go sequels for every other Pokemon generation. 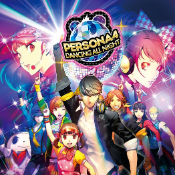 For those of you out there sold on both Persona 3: Dancing in Moonlight and Persona 5: Dancing in Starlight, the Persona Dancing: Endless Night Collection on the PS4 is a great way to get both, along with one fancy bonus: a PS4 port of Persona 4: Dancing All Night. The title once exclusive to Vita makes an appearance in this bundle and offers up a bit of a different approach to the Persona Dancing formula when compared to the newer titles. A full-fledged story mode is on offer rather than the simpler sidebar social interactions. For those vested in the characters and story of Persona 4, there’s a lot to like about this brand new story. A rhythm game to steal your heart. Rather than retread the same ground covered in my Persona 3: Dancing in Moonlight review, I’d suggest you start there to get a good feel for what Persona 5: Dancing in Starlight offers. Broadly speaking, the two are identical in composition, offer the same modifiers, unlocking stuff is done in the same ways, and the progression is consistent. Other than being skinned for Persona 5 with its music, the games provide the same great experience. I S.E.E.S. some dancing in your future. One of the first things that drew me into Persona 3 when I picked it up on a whim years ago, was its music. J-Pop has always been a guilty pleasure and Shoji Meguro did it incredibly well in Persona 3. That said, not all of it was J-Pop, Persona 3 featured all sorts of incredible tracks that seemed to perfectly match or even set the mood. So you can only imagine my excitement when I realized Atlus was finally giving the Dancing rhythm game treatment to Persona 3. Like a match made in heaven, Persona 3: Dancing in Moonlight delivers excellent rhythm gameplay that allows you to both spend more time with the beloved cast and enjoy all of the excellent tunes. There’s been a lot of talk of Dark Souls lately. It seems like you can’t read a review without tripping over some reference to the series or a game being compared to it. 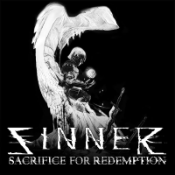 However, Sinner: Sacrifice for Redemption fully invites the comparison, and was absolutely cast in the mold of Dark Souls. 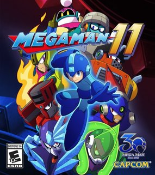 It very clearly tries to ape its gameplay and rather than copy the experience wholesale, boil it down to a boss rush mode game with a few unique twists. But in excising everything else that makes Dark Souls, Dark Souls, it loses what makes that series special. The pups have rolled out for their video game debut. 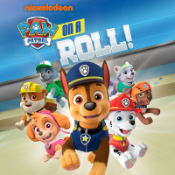 My kids love Paw Patrol. They’ve been Marshall for Halloween, they’ve got a whole mess of the toys. They’ve watched countless hours of the show. Needless to say, when I saw that a game based around the show was due for release, I knew that one way or another it would find its way into my house. While it’s a pretty simplistic platformer, my kids greatly enjoyed it despite its flaws. I'm not too familiar with the point-and-click genre, so I wasn't sure what to expect when I recieved a review code for My Brother Rabbit. 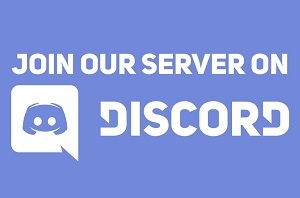 From what I do know, having played through the excellent Tormentum: Dark Sorrow and about an hour or so of Double Fine's Broken Age, I doubt My Brother Rabbit is breaking new ground, but it has some cool features. Find out why I think the positives and negatives of My Brother Rabbit result in an average game by watching the included video review or read the text review, if you'd prefer. I'm starting to learn that breakneck speeds just mean more devastating crashes. There’s something imminently attractive about Grip. Between its sharp visuals, thumping soundtrack, and high speed intense racing, it’s easy to be drawn in, even from just viewing its trailer. When you do finally sit down to play it, the experience proves to be equal parts frustrating and fun. For every brilliant and unique aspect of Grip, there’s some negative measure to offset it. Friends don't let friends fight evil alone. In a land of menacing hot dogs and monster wildlife, a young boy is tasked with a great quest to save his Papa. This concept of a dangerous journey and humbly accepting a noble enterprise to save a loved one is not new to video games. 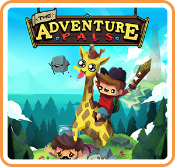 The Adventure Pals, however, takes on a unique perspective to this theme by weaving in characters and scenes that keep you moving quickly through an exciting world. It's the Dark Souls of Dark Souls! Nine years ago, I reviewed Demon’s Souls, and I’ll just say that at the time… I wasn’t a fan. I struggled to wrap my head around the gameplay and what made it special absolutely eluded me. Despite my contempt, when Dark Souls went on deep discount, I couldn’t resist the sale and grabbed a copy. Perhaps it was fate, but purchasing Dark Souls that day set into motion an obsession I never expected to take hold of me.